Few years back, I had visited my aunt and uncle who were living in Jalandhar, Punjab. My aunt had a cook who used to make amazing rotis and parathas. I had a really good time eating variety of parathas with full fat yogurt and the best mixed vegetable pickle that he made. Ofcourse with the delicious food that I enjoyed, I also gained some weight :). I really dont regret eating so much though. 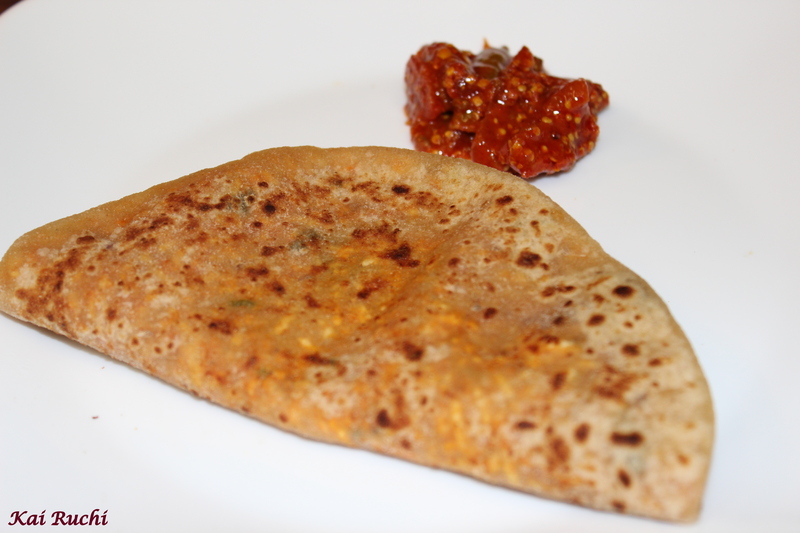 So, this paneer paratha was thought by the cook and never forget him nor his recipes. To make the dough: Mix the wheat flour with half cup of hot water, 1 teaspoon oil and ¼ teaspoon salt. Mix it well and make it into dough, cover and keep aside. 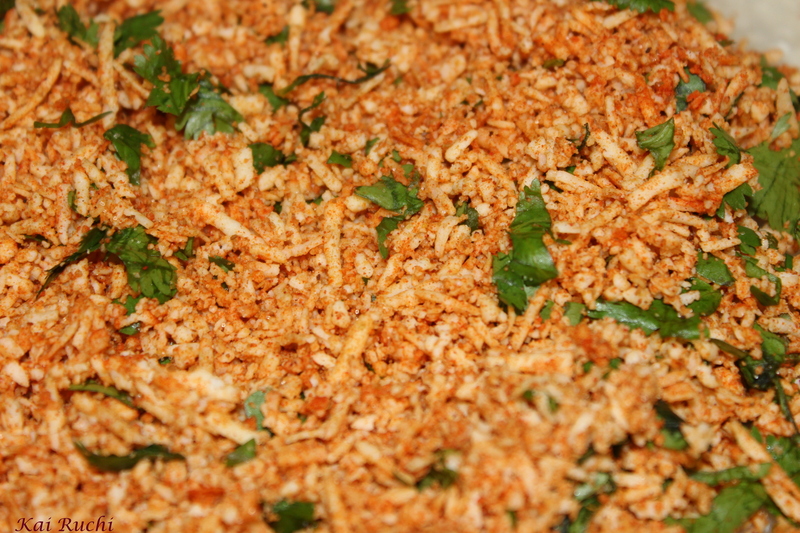 For the filling: Mix grated paneer with rest of the spices mentioned above, chopped coriander and salt. Take a little bigger than lemon sized dough. Roll it to ½ inch thickness and smear ½ tsp oil. Add 2 tbsp paneer mixture in the center. Lift the sides of the dough and bring it to the center. Flatten it a little and roll the dough to ¼ inch thickness by adding gentle pressure to the rolling pin and making sure the filling doesn’t come out. 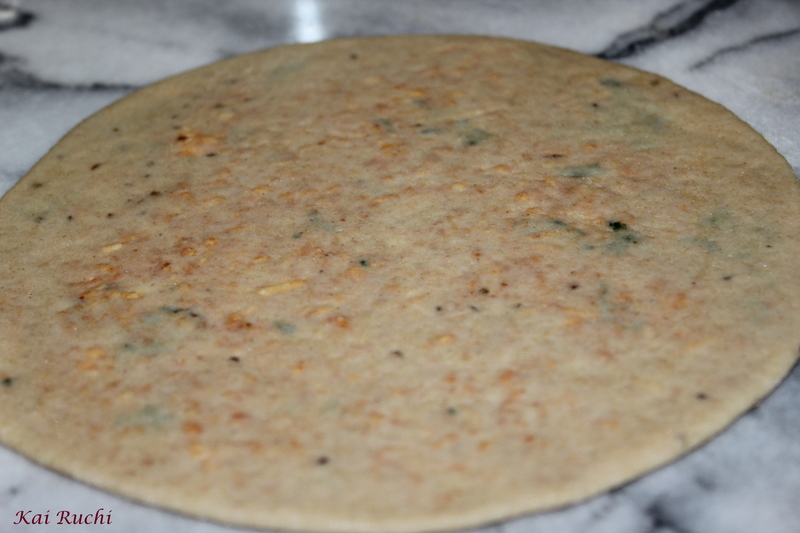 You can sprinkle little wheat flour and roll the rotis making sure the dough do not stick to the bottom. Roast it on a hot griddle adding little ghee or oil on both sides. Serve it with yogurt and pickle or any other side dish of your choice. I am also sending this Bengali sweet to PJ http://seduceyourtastebuds.blogspot.com/2010/11/announcing-celebrate-sweets.html who is hosting this event which was started by Nivedita from Nivedita’s kitchen http://niveditaskitchen.blogspot.com/2010/09/details-of-event-celebrate-sweets.html. I have heard Ras malai originated from Orissa (located in the east coast of India), but it is cooked very often in this south Indian’s house! The recipe is very simple but time consuming. 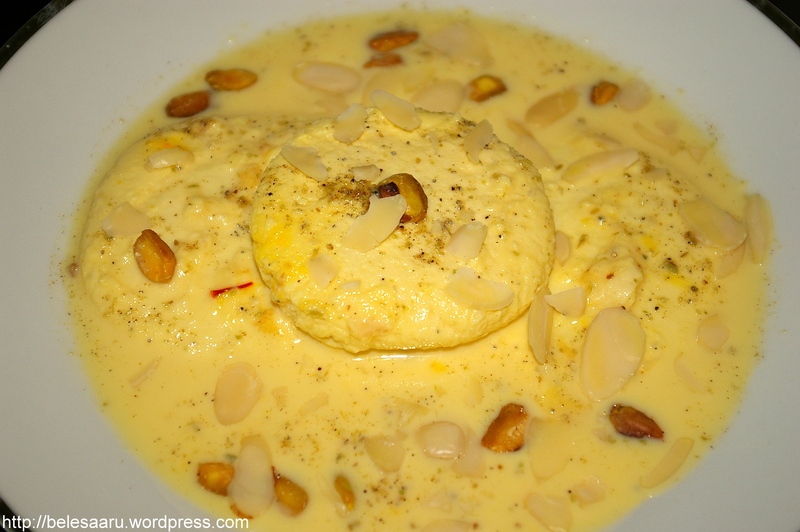 Rasgulla and Rasmalai are my favorite desserts. These desserts brings back my childhood memories. My dad used to bring these sweets every year for my birthday and on the day when I used to get my results, especially from K.C.Das in Bengalooru (best Bengali sweets I have ever had). *Sugar needs to be adjusted according to individuals taste. Bring 8 cups of milk to boil. Use a heavy bottom pan so as to avoid burning of the milk. Cook on medium heat. Stir occasionally, once the milk comes to boil dilute ¼ cup of lemon juice in little water and add slowly into the milk and stir the content. Milk starts curdling. Turn off the heat when paneer gets separated from the whey and strain the whey from paneer using a cheese cloth or muslin cloth. Run cold water under paneer for few minutes and remove excess of water by squeezing gently. Tie the muslin cloth/ cheese cloth tightly so as to remove all the water content and hang it for an hour for the moisture to drain. Make sure to remove as much as water as you can. 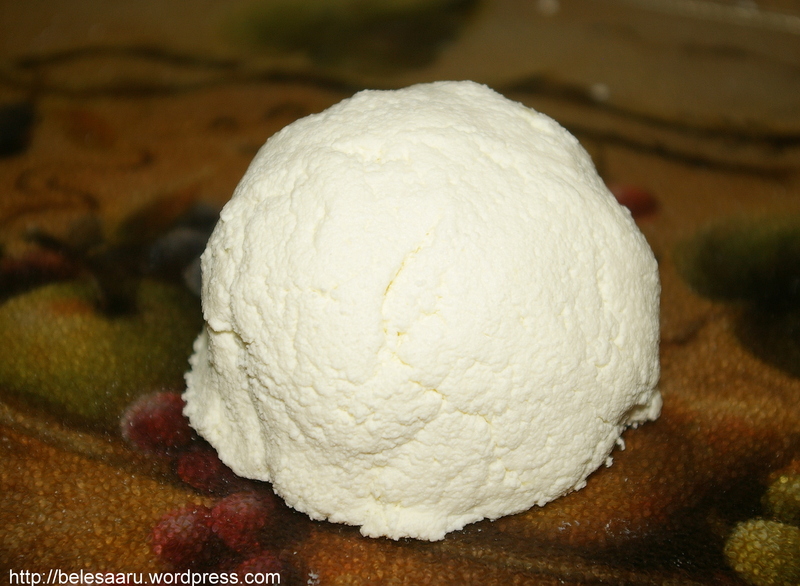 To check if the paneer is ready, take a small piece and rub it with your palm, it should not stick to your palm and you should be able to make a smooth ball. This is the most critical step in making rasgullas or rasmalais. 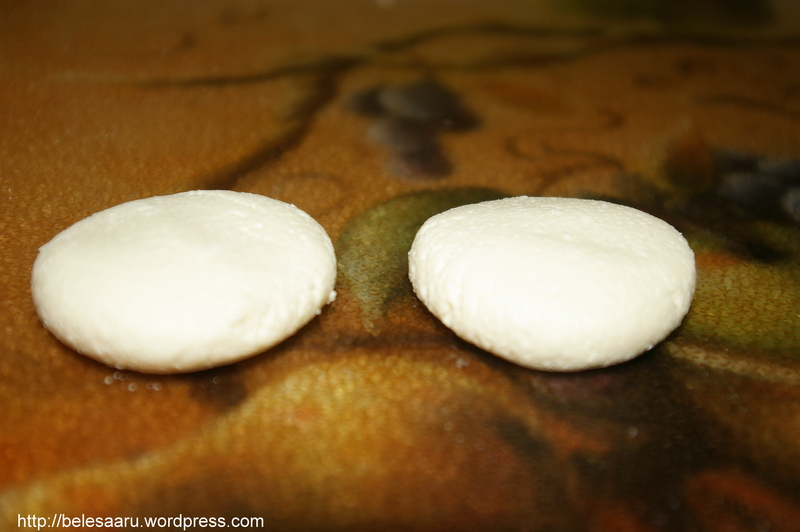 Remove the paneer from the cloth and knead softly, make it into round balls and flatten them slightly. You can make approximately around 12 Rasmalais. Add 1.2L of water into the pressure cooker and 2½ cups of sugar. Heat it until all sugar dissolves and allow it to boil for 3-4 minutes. Add the paneer and pressure cook for 9-10 minutes. Make sure there is enough space for the paneer to bloat. 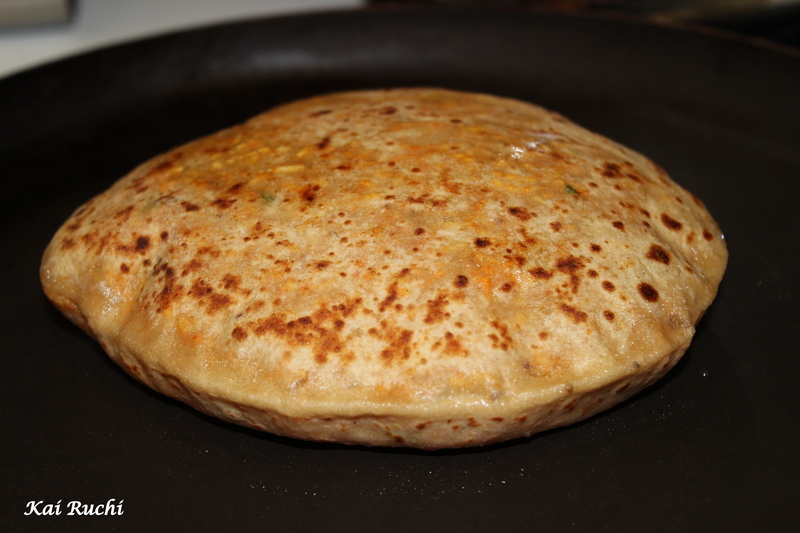 Once cooked, the paneer doubles in size. Remove them from sugar syrup and squeeze them gently. Remove as much water as you can. Keep them aside. Heat 8 cups of milk in a thick bottomed pan. Keep the heat on medium and cook till the milk reduces to half. Keep stirring occasionally to make sure you do not burn the milk. Add ¾ cup sugar and cook till sugar is dissolved. Add saffron strands and crushed cardamom into the milk. Now it’s time to add the cooked paneer. Mix them well making sure not to break any of the paneer. Turn off the heat and let it cool for some time. Refrigerate and serve it chilled! Before serving garnish it with some sliced pistachios and almonds …..
Make sure to remove as much as water as you can. To check if the paneer is ready, take a small piece and rub it with your palm, it should not stick to your palm and you should be able to make a smooth ball. 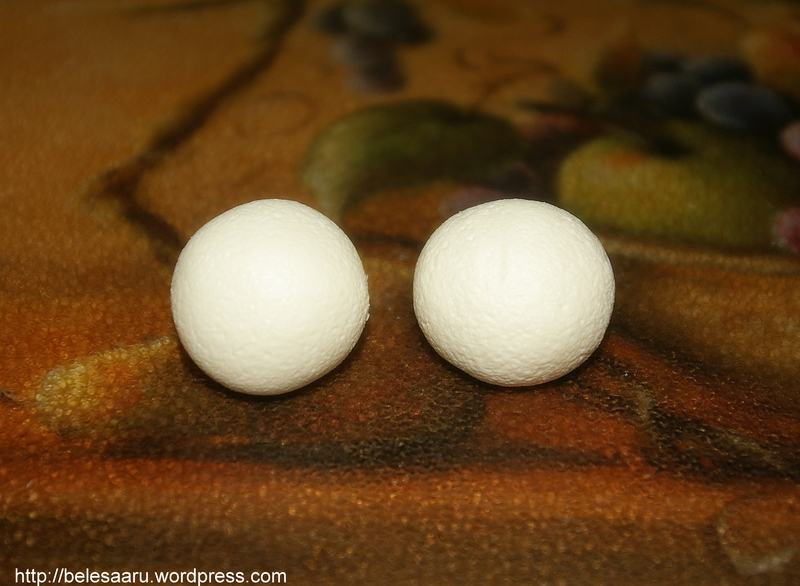 This is the most critical step in making rasgullas or rasmalais. 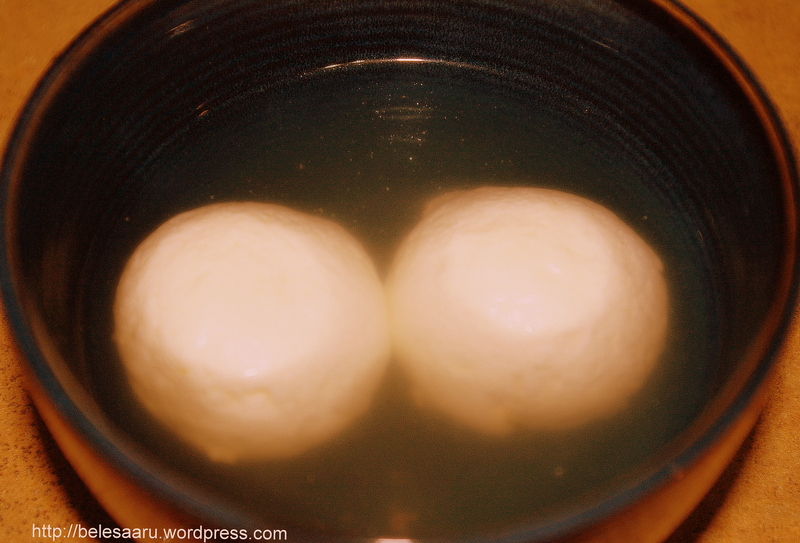 Remove the paneer from the cloth and knead softly, make it into round balls. Add 61/2 cups of water into the pressure cooker and 2½ cups of sugar. Heat it until all sugar dissolves and allow it to boil for 3-4 minutes. Add the paneer and pressure cook for 9-10 minutes. Make sure there is enough space for the paneer to bloat. 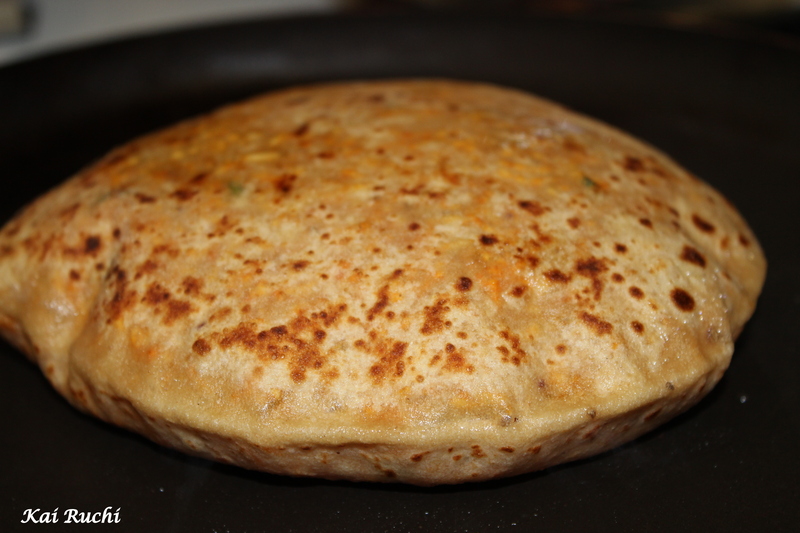 Once cooked, the paneer doubles in size. Cool them down and refrigerate for few hours before serving.